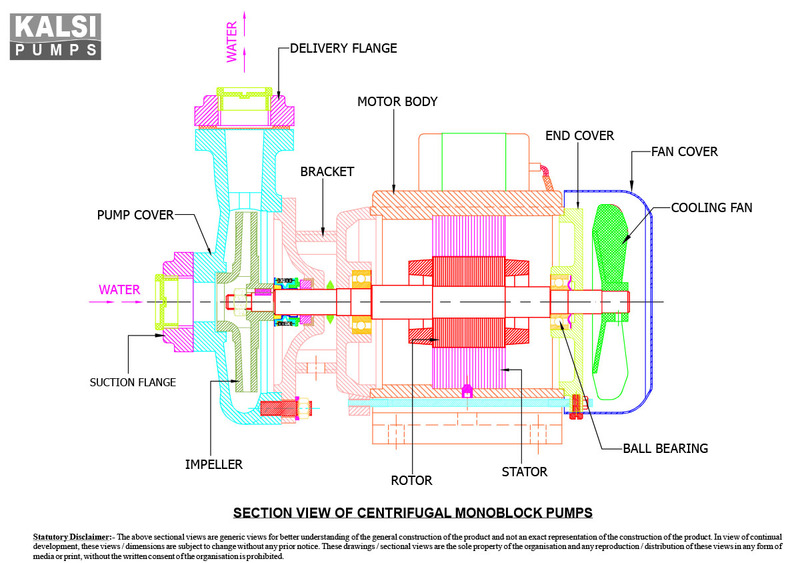 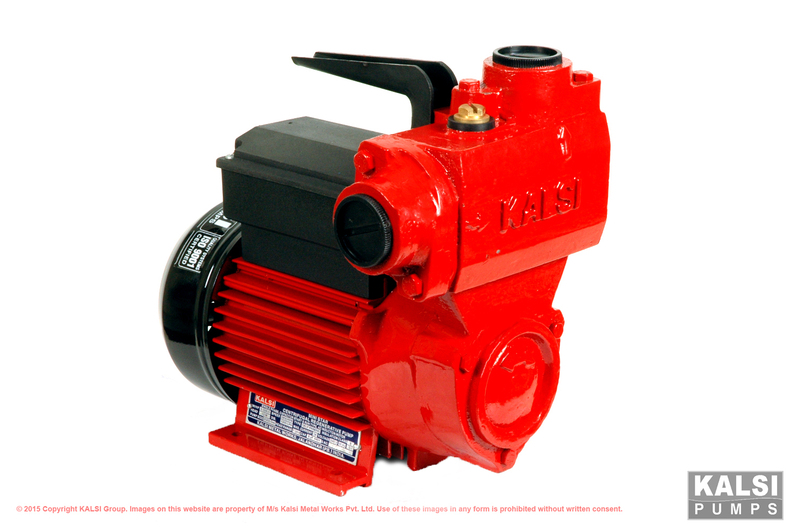 ‘KALSI’ brand CENTRIFUGAL Monoblock Pumps are available in 0.5 HP, 1.0 HP, 1.5 HP and 2.0 HP, 3000 RPM. 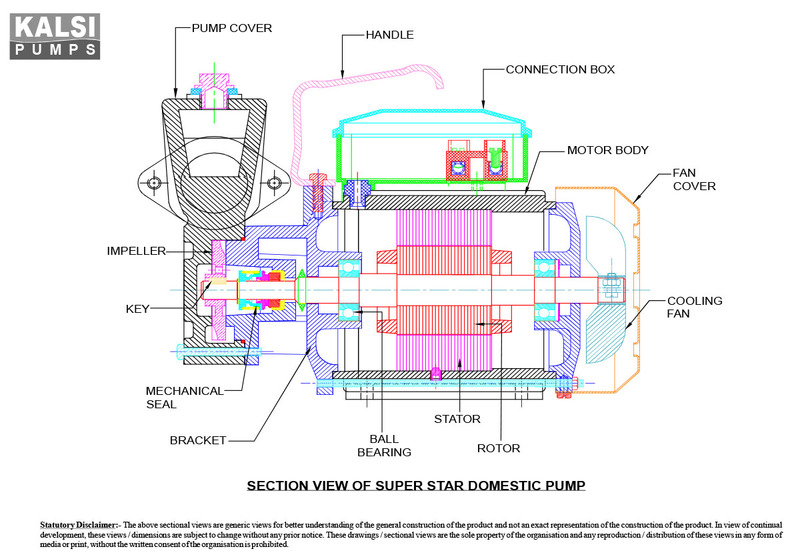 These pumps are manufactured as per IS 9079 (Electric Monoset Pumps) having motor as per IS:14582 and are used for clear water. 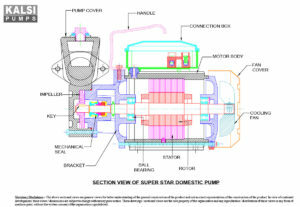 ‘KALSI’ brand SUPER STAR Self Priming Monoblock Pumps, are available in 0.5 HP and 1.0 HP, 3000 RPM. 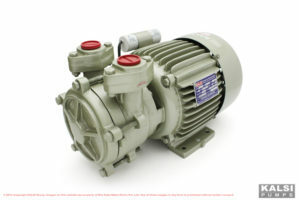 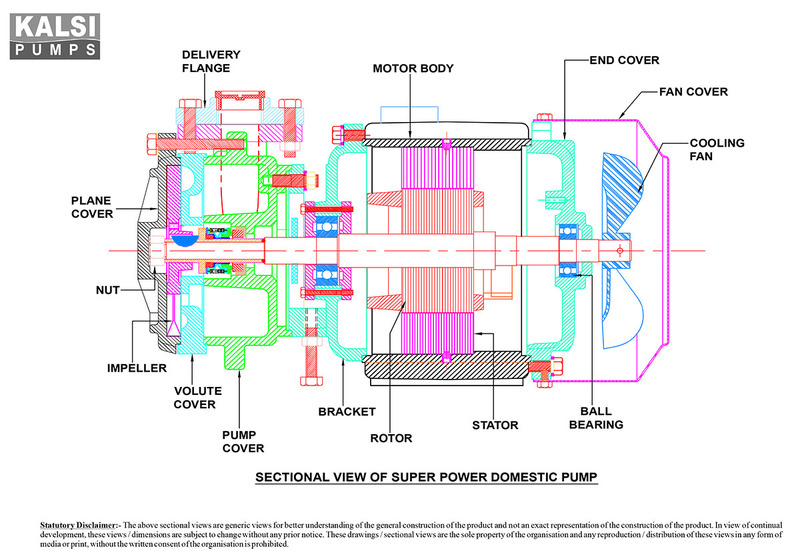 This pump is manufactured as per IS 8472 (Centrifugal Regenerative Pumps) and used for Water supply. 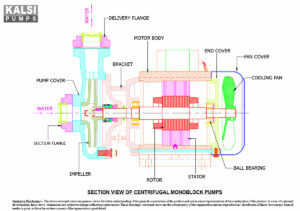 Grease lubrication anti-friction double sealed ball bearings are fitted to withstand radial and axial loads. 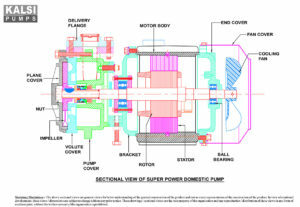 Input supply condition is single phase, 220V (50Hz) AC Supply. 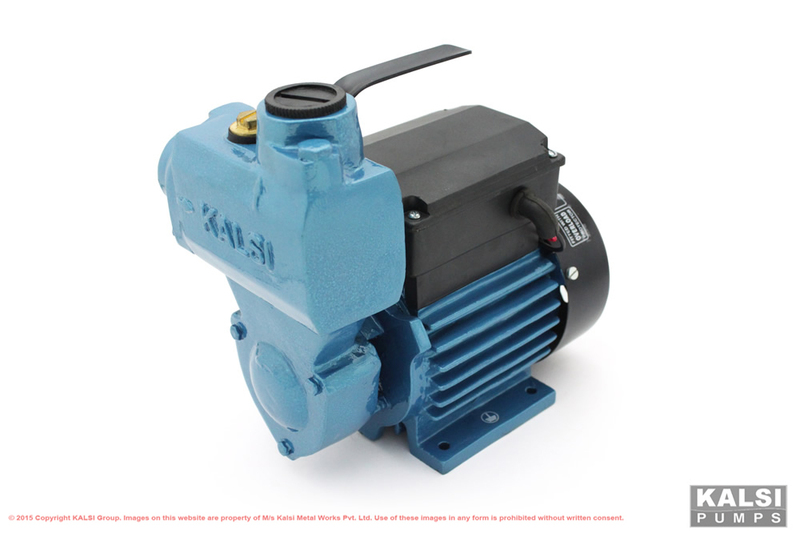 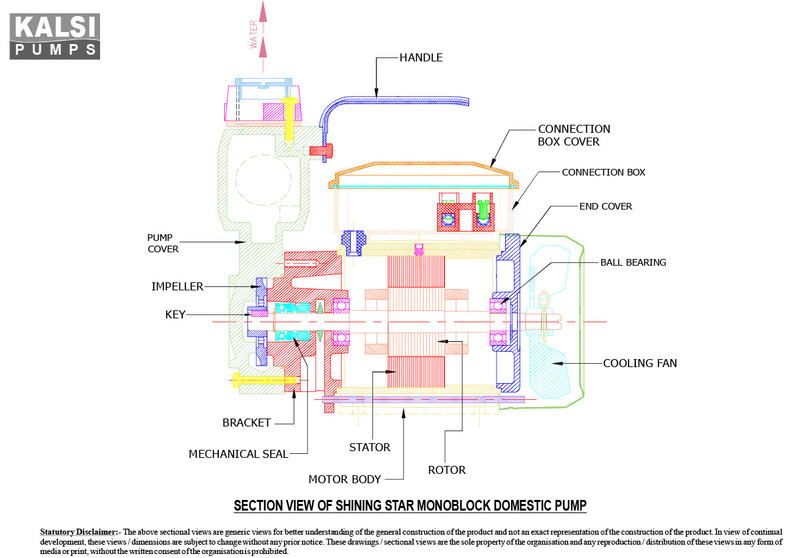 ‘KALSI’ brand SHINING STAR Self Priming Monoblock Pumps, are available in 0.5 HP and 1.0 HP, 3000 RPM. This pump is manufactured as per IS 8472 (Centrifugal Regenerative Pumps) and used for Water supply. 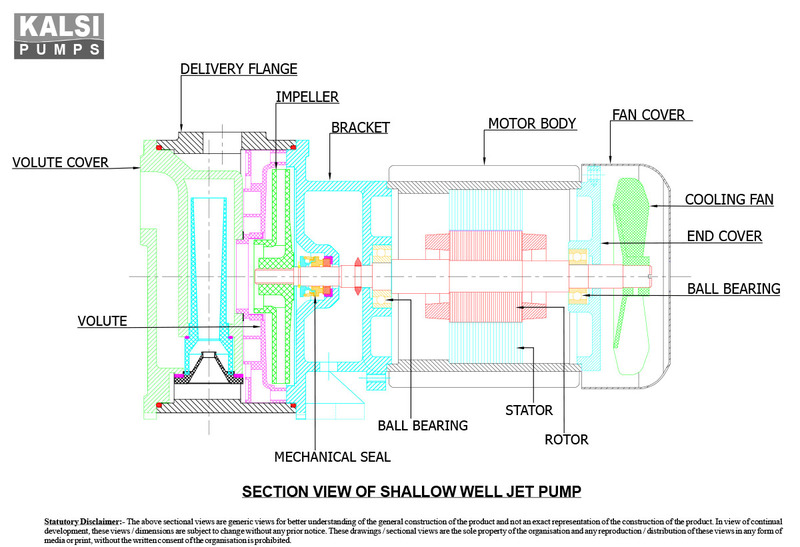 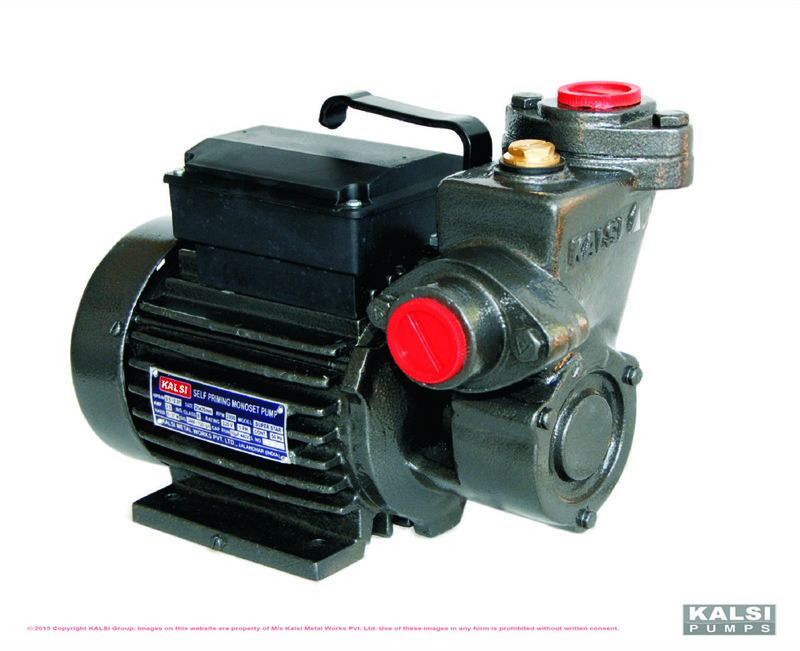 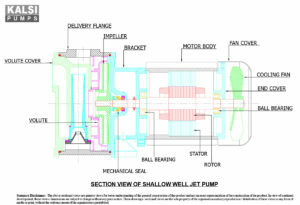 ‘KALSI’ brand SHALLOW WELL Self Priming Jet Pumps, are available in 0.5 HP and 1.0 HP, 3000 RPM. 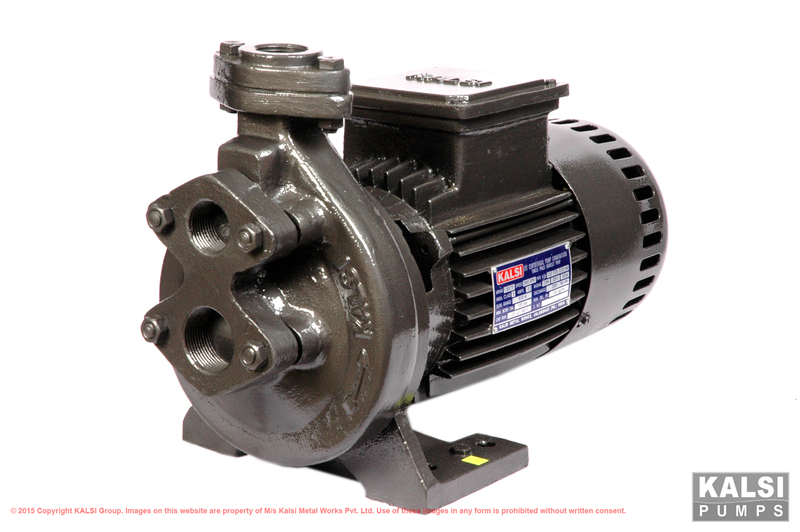 This pump is manufactured as per IS 8472 (Centrifugal Regenerative Pumps) and used for Water supply. 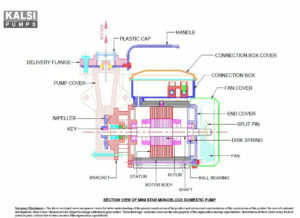 Plastic/Cast iron impeller used to give troublefree service. 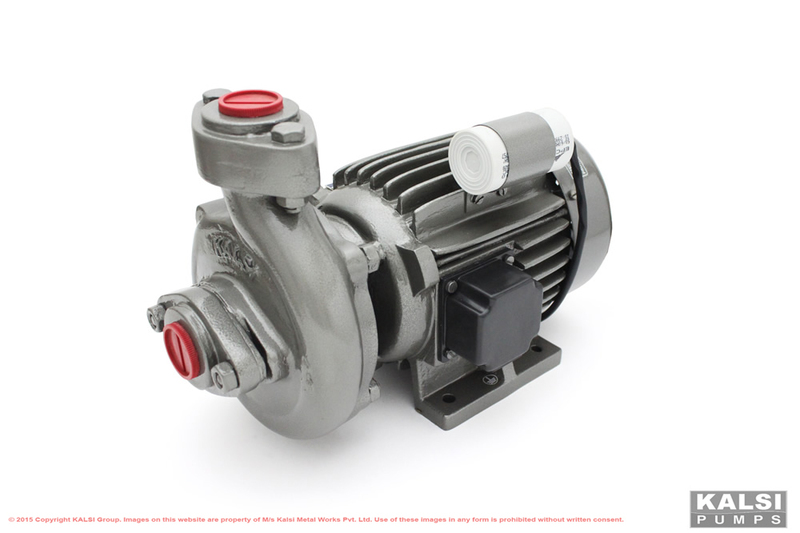 Designed to withstand wide voltage fluctuations of 180V – 240V, AC Supply. 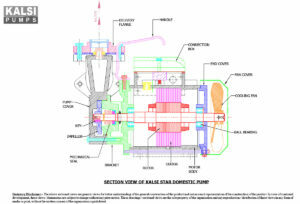 ‘KALSI’ brand MINI STAR Self Priming Monoblock Pumps, are available in 0.5 HP, 3000 RPM. This pump is manufactured as per IS 8472 (Centrifugal Regenerative Pumps) and used for Water supply. ‘KALSI’ brand SUPER POWER Self Priming Monoblock Pumps, are available in 0.5 HP and 1.0 HP, 3000 RPM. 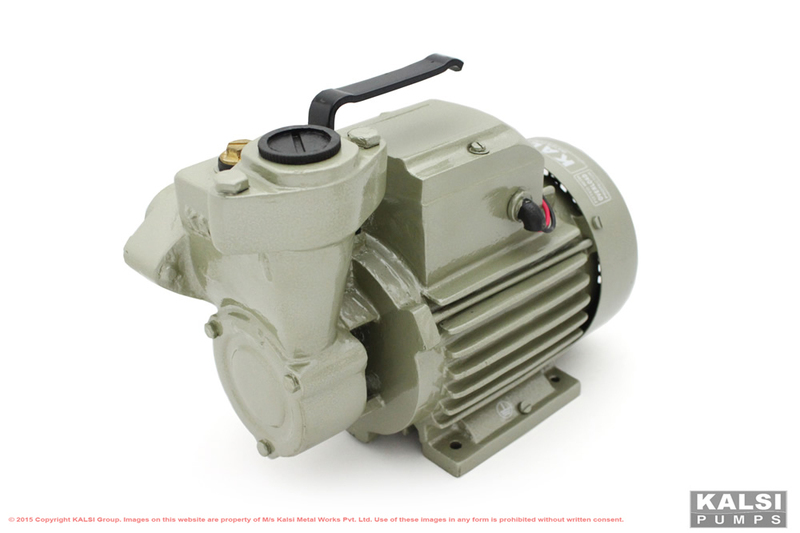 This pump is manufactured as per IS 8472 (Centrifugal Regenerative Pumps) and used for Water supply. 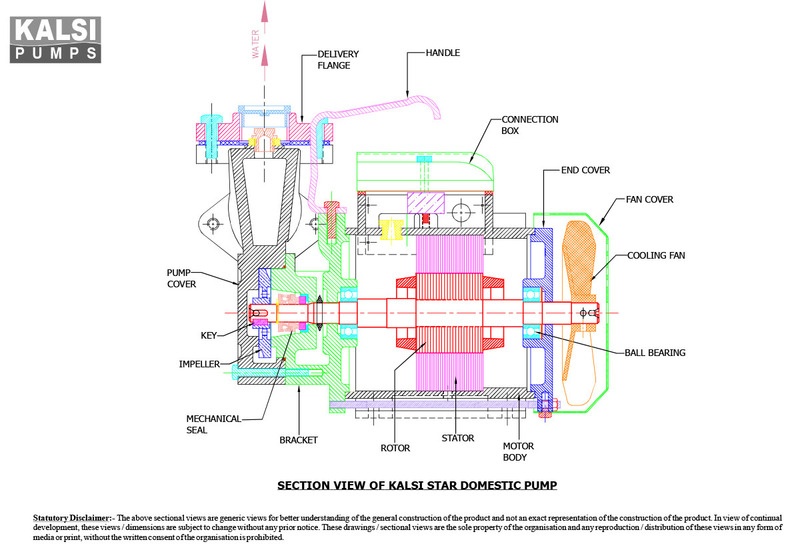 ‘KALSI’ brand KALSI STAR Self Priming Monoblock Pumps, are available in 0.5 HP and 1.0 HP, 3000 RPM. 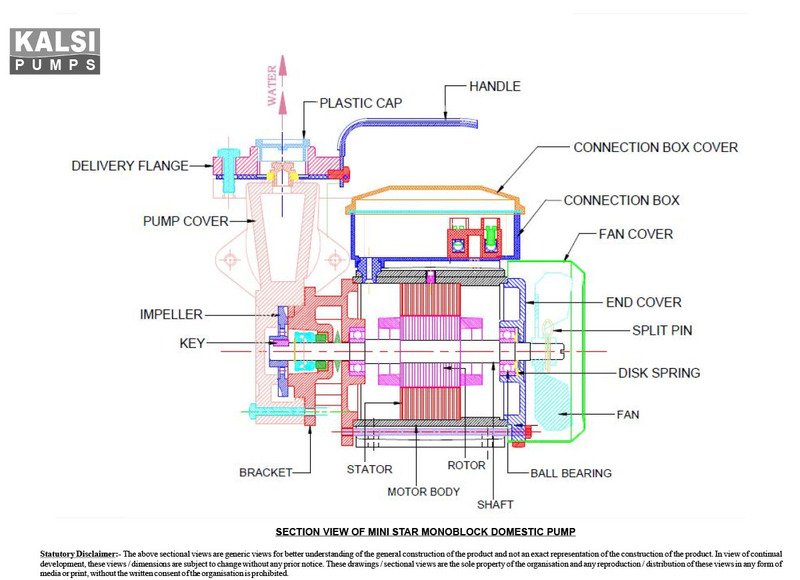 This pump is manufactured as per IS 8472 (Centrifugal Regenerative Pumps) and used for Water supply. 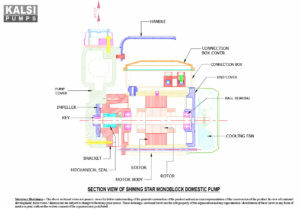 return in the suction line.